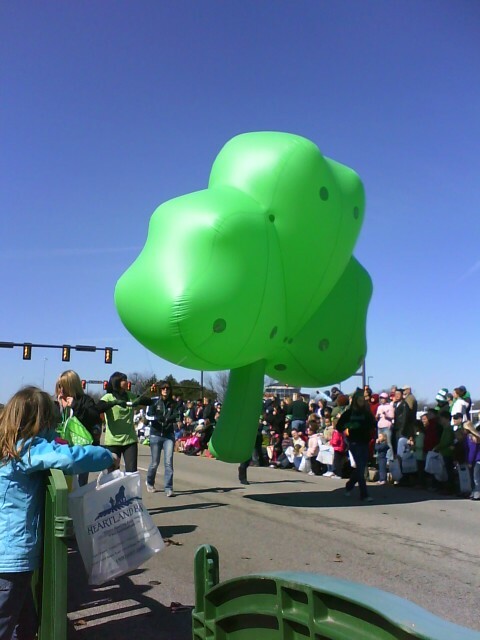 With a city named Dublin, even though it's in Ohio, you just have to expect that they will celebrate St. Pat's day in a big way. 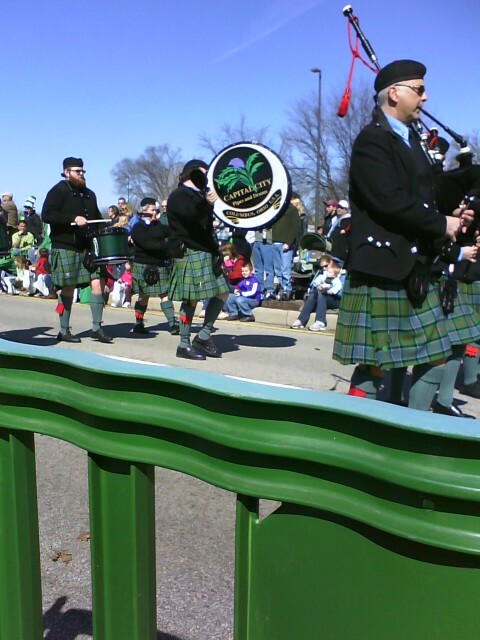 We were encouraged to go and enjoy the parade this past weekend. After all, when your grandki ds are participating, who can resist a front row seat. The weather cooperated beautifully with temps climbing to the low 50s and a nice abundance of sunshine to brighten the day and bring out the green. Everyone was green! Participants and parade watchers as well. What a great welcome to the spring that hopefully will soon arrive. Dublin doesn't stop with a St. Patrick's Day parade however. 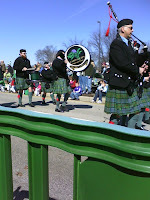 The first week of August finds the city alive with all sorts of Irish festivities at the annual Dublin Irish Festival. If you have a bit of Celtic spirit, check it out.